Adding Motion Blur to your Animated layer in After Effects can give a sense of realism to the overall movement of that layer. Imagine a movie where a car is passing by at a high speed, you will realize the presence of Motion Blur and that is why it is necessary when creating Visual Effects where we want our final render to be as close as real. Taking an example of a text layer, I animated it’s position properties as well as the rotation so that our text moves as well as spin. Then, by enabling Motion Blur, the movement of the text looks somewhat more realistic than it was before, without the Motion Blur on. You can watch the entire Video Tutorial at the very beginning of this article. Enabling Motion Blur can slow up things, such as navigating the timeline, RAM previewing as well as Rendering time, but that does not make any sense, at least in my case, where I want my final render to look good. Do not turn on Motion Blur while working on your project. Instead, turn it on at the very end, when you are ready to render the project. The Above images show us an example of a scene with and without Motion Blur enabled. You can easily notice, in the scene where Motion Blur is disabled, the propeller of the Aircraft looks still as well as the Missile Smoke trail looks a lot puffy and not at all affected by the physical aspects of the real world such as the air and turbulence. 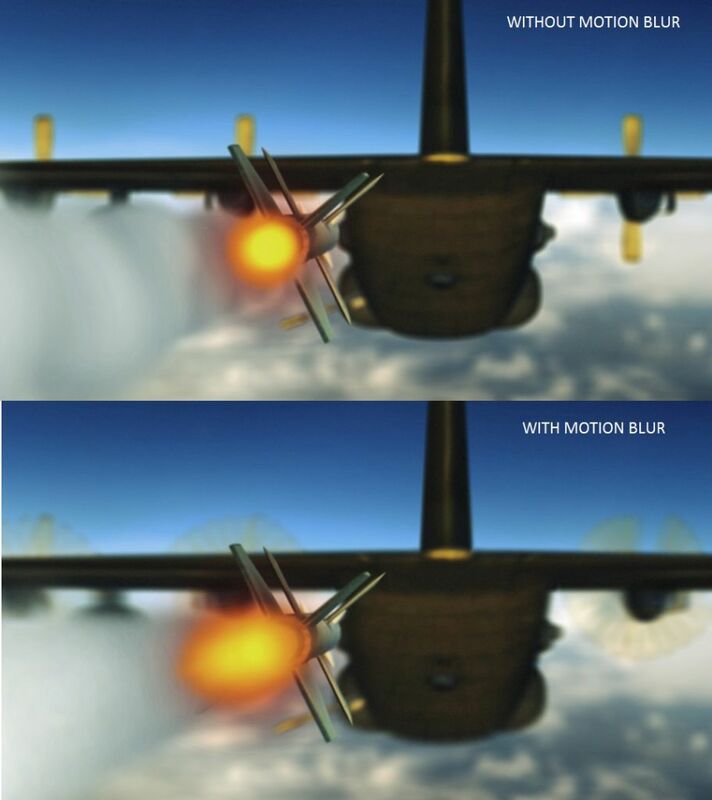 Whereas, in the scene where Motion Blur is enabled, the propeller seems to be rotating at a very high speed and the Missile Smoke trail also looks as if it is affected by the air and pressure. Check out a comparison video below. The left side animation has Motion Blur enabled, and the right side video is rendered without Motion Blur. You can make out the differences very easily and realize how Motion Blur helps us to achieve much realistic animation.